A Wyoming rancher remembers the winter of 1979 -- what it was like tending cattle at 52 below zero. A nighttime flight over Wyoming reveals that the once-dark open spaces are now covered with lights that glitter like cheap costume jewelry. 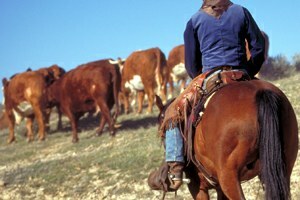 If you want to see the Old West live again, drop by a ranch and offer to help with the springtime cattle branding. Forty years ago, Wyoming ranchers raised a lot of sheep, and ranch kids like the author’s own knew the joys and frustrations of raising “bum” lambs. Mary Flitner takes joy in the hard but satisfying work of bringing her cattle down from the mountains in Wyoming’s beautiful fall. 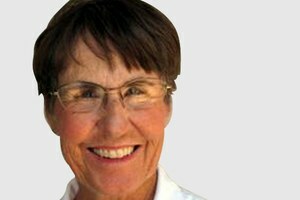 Today's economic woes remind Mary Flitner of a horse race years ago and the important lesson it taught her: Times are always tough for ranchers, so you might as well enjoy the gamble! Mary Flitner believes public-land ranchers and Forest Service employees can – and should – get along with each other. Who will pick up the pieces when this boom ends? Mary Flitner remembers the last Sublette County energy boom in the 1950s and wonders whether there will be anything left of her community after this one.